Politicians rarely receive training in governance. The odd Member of a national parliament will hold a degree in political science. But for the most part, politicians learn the practical skills they need on the job. Learning on the job involves copying the practice of senior, more experienced political figures who serve as models for the newly appointed. Learning on the job is a highly effective means of passing a specific skill set and specific leadership values from generation to generation. This is fine so long as the skills continue to be relevant to the problems of governance and the style of leadership continues to produce governance that is both transparent and accountable. In times of social and economic stability we need ask no more. In times of rapid change, however, what is effective when situations are predictable may prove to be a barrier to successful adaptation and innovation in times of change and uncertainty. Governance is increasingly being used as a criterion to determine eligibility for private investment as well as for aid funding and as an indicator of ranking within the international community. Also governance standards are a means to secure a domestic constituency that will support re-election or re-appointment. Improving standards of governance should become an automatic priority for any government. All this necessitates a more systematic and interventionist approach than merely relying on young politicians to learn their profession ‘on the job’. 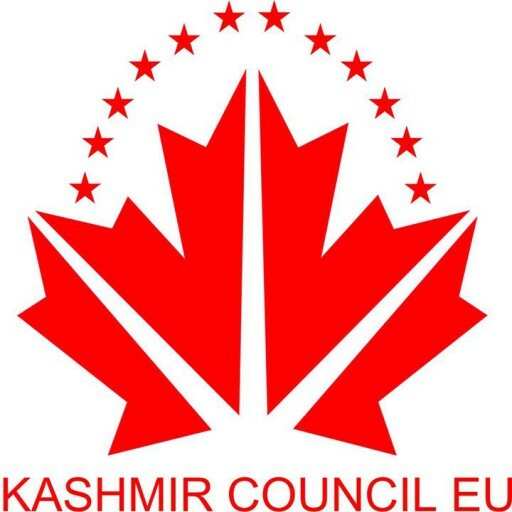 The Youth Leadership Forum is an initiative designed to promote a fresh approach to ensuring that future generations of Kashmiri leaders are equipped to manage change. It will help to create an environment favourable to innovation in governance. It will prepare the future leaders of the territory to carry out their tasks by making them aware of their political and governance responsibilities! 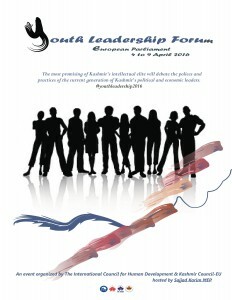 It will give potential future leaders the skills needed to analyse different governance situations. The Forum will sensitise future leaders to the relationship between democracy and ownership and will expose them to the working of democratic institutions in practice. The quality of national governance has long been a concern of the international community. The argument is as follows: Government institutions at both central and local levels are often inefficient and corrupt. Such institutions act as a constraint on the forces of the market preventing them from determining the optimal patterns of investment. Improving the transparency and accountability of governance mechanisms will remove this constraint and will allow the market to send appropriate signals to consumers and investors. These signals in turn would provide the social and economic incentives which would encourage local and international investors to enter the market. The result of this argument was that international development aid became an instrument for governance reform with beneficiary governments being offered additional aid money in return for delivering an approved governance reform package. This approach suffers from three fatal flaws. Firstly you are asking the officials who have the greatest vested interest in maintaining the status quo to commit themselves to implementing reform measures`. These reforms would certainly reduce, possibly even eliminate, the advantages presently accruing to those same officials due directly to the lack of accountability and transparency of many important public institutions. Secondly, the incentives offered to induce governance reform were generally insignificant when compared to the gains derived from exploiting the lack of transparency and accountability. Third, many countries with questionable systems of governance lack a leadership cadre with experience of managing a democratic system and of creating and sustaining democratic institutions. It is this third problem that the Forum seeks to address.